At the 2014 Las Vegas Market? Join tag and Ivystone in our new space, suite #684! 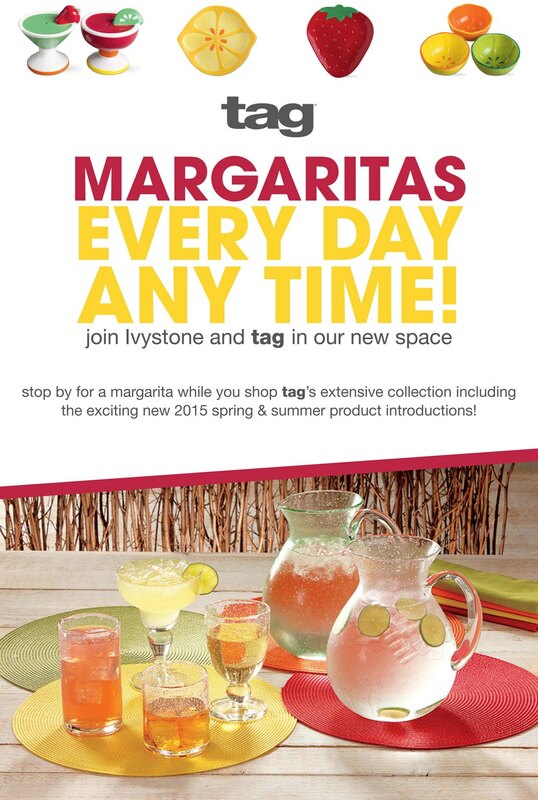 Stop by for a margarita ANY TIME during the market while you shop our extensive collection, including brand new products from our Spring/Summer 2015 collections!